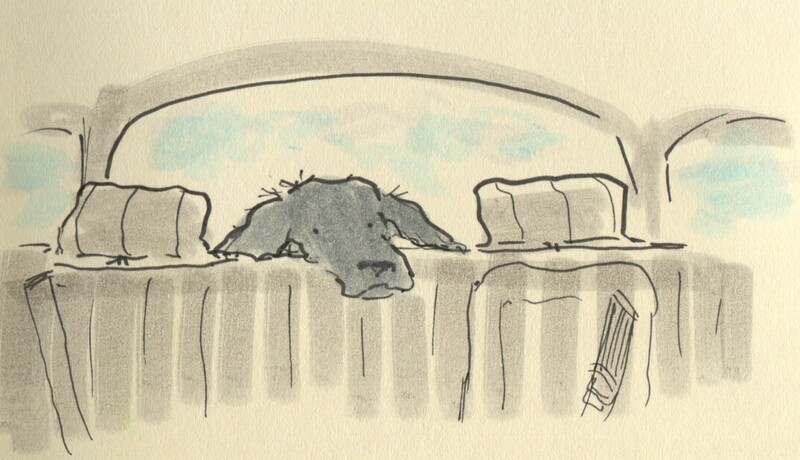 Posted on November 13, 2013, in Uncategorized and tagged Children, Dogs, Doodlemum, Drawing, Family, Humour, Illustration, Life, Pen and Ink, Sketchbook. Bookmark the permalink. 9 Comments. Reblogged this on S T E I N B E R G design studio. My coonhound asks that question by howling in my ear. Over and over and over and over. . . .
That dug’s a tattie-bogle, ken!